Presenting your business – What to say! If you have an opportunity to present your business at a networking event, what do you say? Introduction - 30 seconds max, more than likely the audience will know a little about you, so don’t waste valuable time telling your audience what they already know. Qualifications - 30 seconds max, qualifications give legitimacy to the speaker but should only be included by way of information. If when you were introduced to the audience the person introducing you already spoke about your background and qualifications do not restate what has already been said. Tell your audience of the BENEFITS to your customers of doing business with you. Stories, are an excellent way to demonstrate to your audience the benefits of your products and services to your clients. 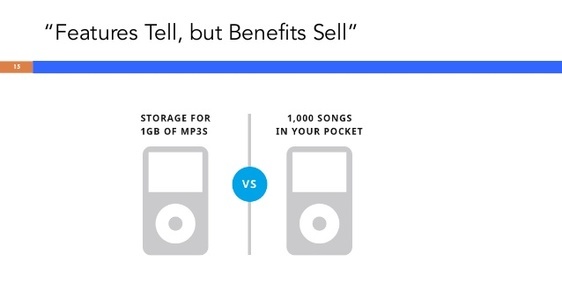 Remember: Features tell – Benefits sell. Highlight or explain to your audience how they can get you introductions into your target market, profile your ideal clients or actually list specific companies you would like to meet. Give examples of similar clients you have and the products and services you supply to them, focus on your most profitable products and services. If possible show and tell, i.e. have samples or images to demonstrate your products and services to your audience. Re-emphasise the key points of your presentation, in particular emphasising what are for you the best introductions that the audience can get you and finally don’t forget the two powerful words “Thank You”. Finish your presentation with one or two testimonials, (what we say about ourselves is our opinion, what others say about us is much more powerful) if you have good testimonials use them. When presenting if you are using samples or images make sure they are of the highest quality, we process an image 60,000 times faster than a sentence, and 90% of what we remember is visual. Presenting at a networking event is a wonderful opportunity for you to educate your audience in how they can get you the kind of introductions you are looking for. Spend time preparing and tailoring your presentation to suit your particular audience. In setting up for your presentation if you are using a laptop and PowerPoint, position the laptop in front of you so that you can see it and that you are always facing your audience when speaking and not looking sideways or behind you during the presentation. Finally – practice, practice, practice, know precisely how long your presentation takes and arrive at your location in plenty of time to set up in case of any glitches. The more you practice, the more confident you will feel and instead of reading from a script you can speak your presentation off script with more meaning.